Band Of Skulls want you to make the music video for their new song Fires! Be inspired by the song and let your creative vision flow! 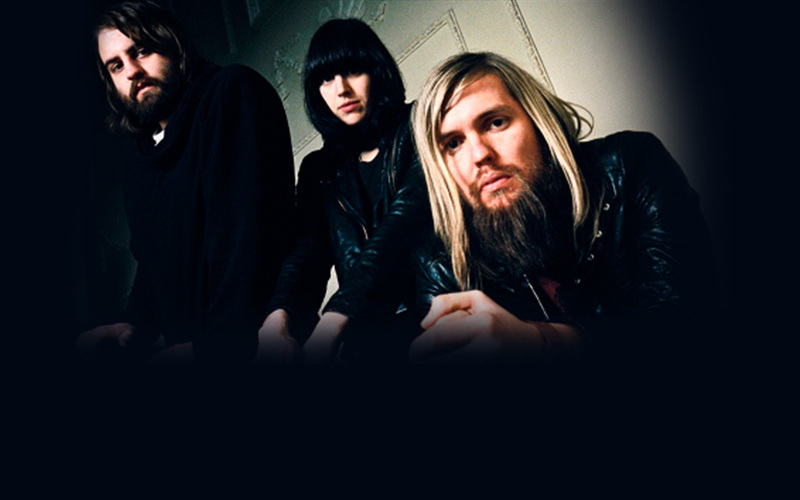 The three members of Band Of Skulls, Russell Marsden (guitar & vocals), Emma Richardson (bass & vocals) & Matt Hayward (drums), first met at college and quickly discovered that having two lead singers and three songwriters in a band was always going to present unlimited possibilities. The band quickly established themselves in both the music and art community with a series of culturally inspired club nights in Southampton, London and further a field in Moscow & Tokyo. Their album Baby Darling Doll Face Honey was produced, recorded and mixed by Ian Davenport (Supergrass, Badly Drawn Boy) and recorded at Radiohead's Courtyard Studios in Oxfordshire and mixed at the House of Blues studio in Los Angeles and perfectly captures the band’s aptitude for heartbreaking duets and sun-kissed, Wall of Sound harmonies. Band Of Skulls previously scored an iTunes ‘Single Of The Week’ with the track ‘I Know What I Am’, which was downloaded by over 500,000 music fans worldwide - an unprecedented success for a previously unknown band. 2009 saw them making waves in the US, with the band being one of the ‘must see’ picks of Lollapaloza, as well as selling out gigs across the country including New York’s Bowery Ballroom and The Troubadour in LA. With a TV performance on the Jimmy Kimmel Show under their belts and a forthcoming appearance on David Letterman’s ‘Tonight’ show, they return to the US later this spring for SXSW, Coachella and another string of tour dates. They were also one of the main acts featured to be on the hugely successful ‘Twilight – A New Moon’ film soundtrack, performing at the films premiere in London, LA and Toronto. Having previously toured with the likes of Spiritualized, Metric, Black Rebel Motorcycle Club and Wolfmother, the band will be playing again across Europe in the spring, with their biggest UK headline shows to date scheduled for May.